A lot of pregnant women find it difficult to get a restful night’s sleep with the continual changing of their bodies and their growing belly. Some women even begin to suffer from leg cramps and back pain which makes it a challenge to find a position to sleep in that is comfortable. 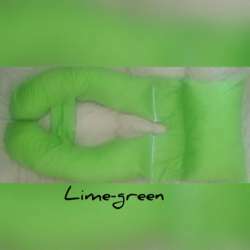 The best solution for these problems for pregnant women is using a pregnancy pillow. 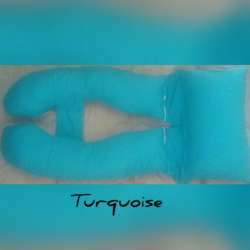 With a pregnancy pillow, you will have the support you need for your baby bump, neck, back, legs, and shoulders – your entire body. They are specifically made to help mothers-to-be sleep in a half fetal position since this is the best position for sleeping, especially anyone suffering from neck and back pains. 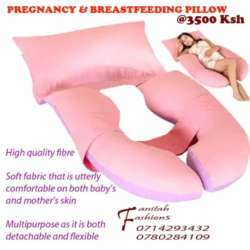 At Fanitah Fashions, we’ve developed the most comfortable pregnancy pillow for pregnant women to sleep with and to help them get a good night’s rest.